December 21, 2017 at 5:48 pm. 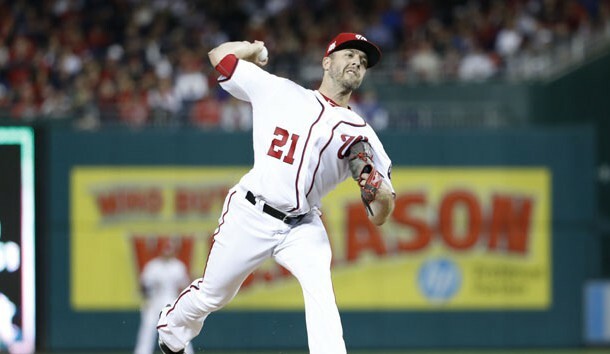 All-Star right-hander Brandon Kintzler officially agreed to a two-year contract with the Washington Nationals, the team announced Thursday. The Nationals did not divulge financial terms of the deal. According to Spotrac, the terms are a two-year, $10 million deal with a mutual option for 2020. Washington acquired Kintzler from the Minnesota Twins at the trade deadline in July for left-handed pitching prospect Tyler Watson and $500,000 in international bonus pool allocation. Kintzler, who converted 28 of 32 save opportunities with the Twins, posted a 2-1 mark with one save and a 3.46 ERA in 27 appearances with the Nationals. The 33-year-old owns a 14-14 mark with 46 saves and a 3.26 ERA in 298 career appearances with the Milwaukee Brewers, Twins and Nationals. –Although Dee Gordon still is getting to know his new team in the Seattle Mariners, that didn’t stop him from speaking out on his old one. In fact, the two-time All-Star and 2015 National League batting champion was blunt in his assessment of the Miami Marlins’ offseason moves. The Marlins’ new ownership group, which includes Derek Jeter, has already traded NL MVP Giancarlo Stanton to the New York Yankees and fellow All-Star outfielder Marcell Ozuna to the St. Louis Cardinals as well as Gordon. Outfielder Christian Yelich and catcher J.T. Realmuto reportedly are unhappy and are seeking trades. –The Cleveland Indians and free-agent infielder Yonder Alonso agreed to a two-year, $16 million contract. The deal, pending a physical, also includes an $8 million vesting option for 2020. Alonso will take over at first base in Cleveland for Carlos Santana, who finalized a three-year, $60 million agreement with the Philadelphia Phillies on Tuesday. The 30-year-old Alonso batted .266 with a career-high 28 homers and 67 RBIs in 142 games split between the Oakland Athletics and Seattle Mariners last season. He also scored 72 times and had an OPS of .866 en route to being named an All-Star for the first time in his career.